The idea behind VC is to invest in Entrepreneurs and their companies that are in the early stages of their life cycle, often to get a product beta produced or to continue its development. In Some cases the business is still simply an idea that hasn’t left the drawing board, as in the case of Angel Investing. These companies therefore do not have an established cash flow or revenue and are not quoted publicly. In VC investing the choice is binary, you either invest or you don’t invest, this creates a Call Option like feature to the investment. The premium of the Option is the amount invested in the start-up. Like an option your downside is the cost of the investment and your upside is potentially unlimited. Venture Capitalists usually take a substantial but minority stake in the enterprise along with either an advisory role or a place on the board of directors. The most common security to access these investments are Convertible Preferred Stock, this is the most favoured way as these shares are more senior to common stock in the case of dividend payouts or liquidation. These shares tend to be the most popular by investors as they offer the possibility of conversion to common stock at some point. Conversion is usually executed when the investment is exited through an IPO or when the value of the share reaches a specified level. There are also debt like securities available to Venture Capitalists, such as Convertible Notes or Debentures that allow for conversion again usually at a specific event, like an IPO, or specific value of the company. VC investments are clearly very risky as most start-ups will fail, therefore investors allocate their capital across many investments to mitigate that risk. It may take only one successful investment out of several start-ups to earn out-performing returns. Companies that mange to become a success story are likely to offer egregious payouts as in 20-baggers, in VC terminology this means a company that returned a profit of 20 times the initial investment. Most VC investments are made through Private Equity funds that specialize in early stage finance, that is to say very rarely will they look at angel investing. The idea is to leave portfolio selection and the ongoing interactions with young companies to the experts. These funds are set up as limited partnerships, where the fund manager acts as the General partner and the investors act as the Limited partners. This set-up allows the investors to be liable only for the amount of money put into the fund, even if more liabilities are incurred than originally invested with the fund. 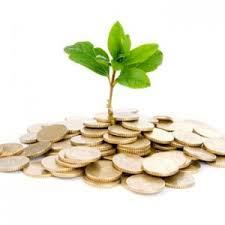 In exchange for limited liability the investors may not have an active roll within the fund management. In theory they may not get involved with investment decisions or define the investment plan, this role is left solely to the fund Manager. The partnership also defines how long the fund will remain invested before exiting its underlying investments and distributing all revenues. Usually this period is between 7 and 10 years creating a very illiquid investment. Selling in the secondary market is not easy and would be at the cost of offering one’s share in the fund at a discount. Minimums for investing in a VC fund are quite high and range from a few hundred thousand to a few million. Limited partners pay the General Partner management fees and carried interest, another terminology for incentive fees. Usually there is also a hurdle rate which is a minimum return on the investment before any carried interest is paid. Typical management fees range between 1% and 3% and carried interest is usually 20%. 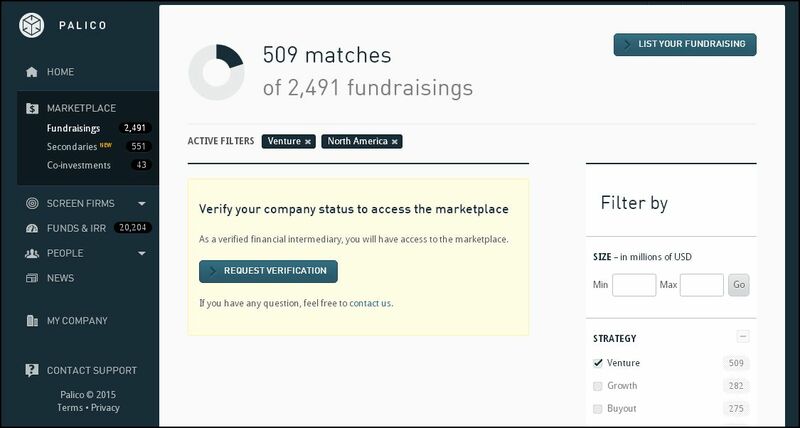 Palico currently has 509 Venture Funds raising capital, out of a total of 2, 491, that are registered with the Private Equity platform. The Limited Partners are passive investors due to the contractual nature of the agreement with the General Partners who actually make all the decisions, The success of the fund is ultimately in the General Partner’s hands so the Limited Partners need others ways to protect their interests. This is achieved within the partnership agreement which will also cover details regarding the funding, distribution of revenue, duration of the fund and other covenants that determine the investment practices of the fund. The most important covenant regards restricting the size of any one investment in a particular start-up, this keeps concentration risk in-line, so that not all of the fund’s capital may be invested in one company. Gearing is also addressed, this is the Private Equity terminology for leverage, as VC investments are already extremely risky per se, most investors will restrict any borrowing to create leverage. There will usually be a covenant regarding the distribution of profits, it is in the Limited Partners interest to receive profits as they are realized, whereas the General Partner’s interest is to retain profits in the fund. Restrictions will also be placed on how much of the fund manager’s private investments in VC may be placed outside of the fund. Personal investments by the General Partner in VC may cause distraction or cause other investments to have priority over those of the fund. There may also be restrictions on co-investments to future or past funds. If a past fund has performed badly investors of the current fund do not want the General Partner throwing good money to bad in attempt to improve the performance of a fund with poor results.There may also be covenants that keep the fund managers focused on their realm of expertise. If a VC fund manager is an expert in life science start-ups investors may place restrictions on investments outside this sector.